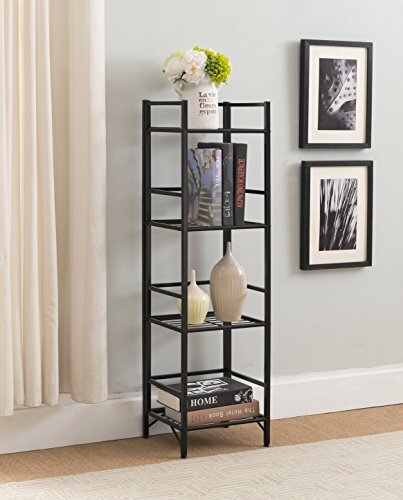 This 4-tier Metal Bookshelf Bookcase Audio Video Media Display Cabinet, Black is a great addition to your home decor. Features 4-tier of shelving for your storage needs. Measures: 45 inches high x 11 inches wide x 13 inches deep. Assembly required.